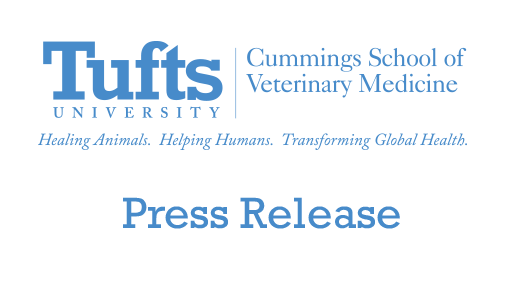 The Cummings School of Veterinary Medicine at Tufts University has been recognized by the Commonwealth of Massachusetts and Governor Deval Patrick for its role in promoting sustainable agriculture and the viability of farming with a 2012 Agriculture Day Award. In the ceremony, dairy farmer Mark Duffy presented Cummings School Dean Deborah T. Kochevar, DVM, PhD, with the award, declaring that it was for the school’s work to ensure that livestock producers in the commonwealth will have knowledgeable veterinarians they can rely on both today and in the future. Accompanied by Cummings School veterinary students, large animal veterinary faculty from the school made nearly 4,000 barn calls in Southern New England just in the past year through its Woodstock, Conn.-based ambulatory food animal and equine service. The Cummings School values its relationship with the agricultural community and especially with other schools that are educating our next generation of farmers and animal health workers, said Dr. Kochevar, accepting the award on behalf of New England’s only veterinary school. We are the state’s only school of veterinary medicine and take seriously our responsibility to serve livestock producers and support the agricultural economy. The Cummings School also hosts annual livestock judging competitions for the state’s four agricultural schools—which were also represented at last month’s State House event—and has a long-standing partnership with Norfolk County Agricultural High School. 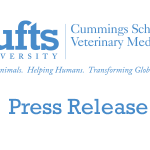 This mutually beneficial relationship is built on animal care provided by Tufts faculty and students to Norfolk Aggie teaching animals and shared teaching activities that benefit both high school and veterinary students. Educational seminars at the Cummings School funded by a state Bio-Tech Career Pathways grant have introduced senior student interns from Norfolk Aggie to the veterinary school. In addition to its professional veterinary curriculum, the school hosts a number of activities aimed at promoting sustainable livestock production—among them, an on-campus working farm that models good farming practices. The school has also developed a pasture based livestock production program whereby New England farmers can directly sell premium products to local consumers under the Azuluna Brands moniker. Products ranging from premium eggs and pork to milk fed pastured lamb can be found at Whole Foods Markets and restaurants including Beacon Grille and Ceres. By partnering with the Tufts Friedman School of Nutrition’s New Entry Sustainable Farming Project, the Cummings School farm has been hosting workshops for new farmers interested in raising livestock for local consumption. Ranging from introductions to farming equipment and composting practices to chicken husbandry and disease management for small ruminants, the courses are open to the public. For more information, please visit the New Entry Sustainable Farming Project website.